Accessory Kit Bike Cleaning 26435510 https://www.kaercher.com/ge/accessory/accessory-kit-bike-cleaning-26435510.html Cleaning and care to perfection! The accessories kit for motorbike and bicycle cleaning includes 1 wheel washing brush, 1 universal wash brush, 1 litre of Car Shampoo 3-in-1 and 1 VPS 160 S.
Cleaning and care to perfection! 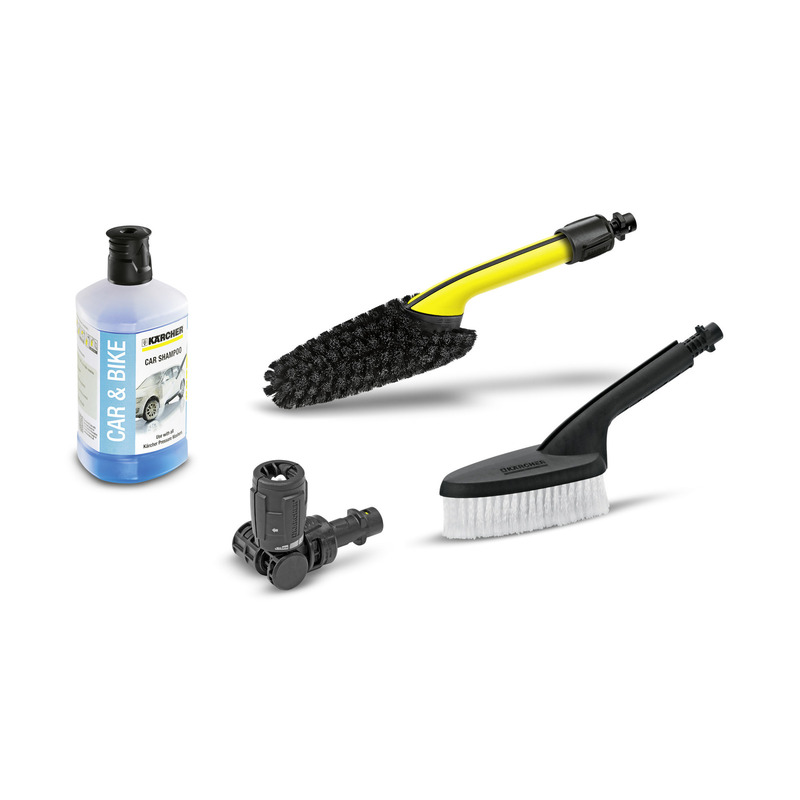 The accessories kit for motorbike and bicycle cleaning includes 1 wheel washing brush, 1 universal wash brush, 1 litre of Car Shampoo 3-in-1 and 1 VPS 160 S.
The accessories kit for motorbike and bicycle cleaning is a practical cleaning and care set for two-wheeled vehicles with and without an engine. In addition to a universal wash brush for the gentle cleaning of diverse surfaces, it also includes a bottle of Car Shampoo 3-in-1 for intensive and at the same time gentle cleaning, a wheel washing brush for effective dirt removal also in areas which are difficult to access, as well as the short Vario Power Jet Short 360° spray lance with infinitely variable pressure regulation and adjustable 360° joint. The accessories kit is suitable for all Kärcher consumer pressure washers in classes K2 - K7. Soft surface-protecting bristles for thorough cleaning of all types of surfaces. Maximum cleaning efficiency, care and protection in just one procedure. 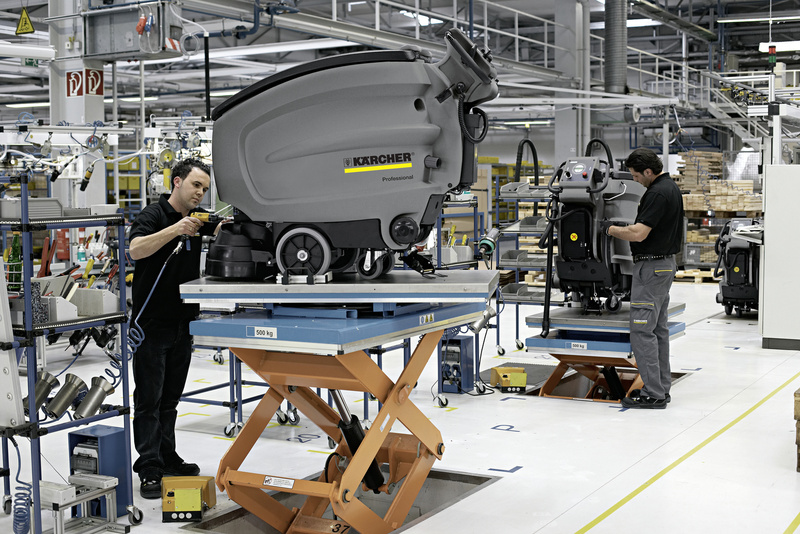 Uniform 360° water distribution for perfect all-round cleanliness – even in hard-to-reach places. Ideal for cleaning close but hard-to-reach places.